You are currently browsing the tag archive for the ‘Image Comics’ tag. …Do Some Damage. Check it out about a quarter of the way down the page. Or, feel free to read it here, but still check out their site because it’s sweet. Sometimes you come across an idea so perfect, and so simple, that you want to break down in tears if you didn’t think of it. THE ROBERTS is one of those cases. Two of America’s most famous serial killers are residents in the same retirement home. There, genius. What follows is dark, unsettling and deeply funny. …I wrote this post about Comic Book Resources naming “Missing the Boat” one of the top 100 comics of 2009. While checking that article out, I stumbled upon another article Augie wrote back in March 2009 about switching from comic buying to trade paperback/graphic novel buying. In the article, he wrote about book spoilers, and how “Missing the Boat” was still enjoyable even though the end of the book is given away in the title itself. You can check out that article here. Man… I think I might owe Augie some money or something. Thanks, Augie! I really appreciate your continued support, and am flattered by your love for the book. Now, can you do me a favor and write a quick letter to all of my ex-girlfriends and let ’em know what they’re missing out on? “Missing the Boat” named one of Top 100 Comics of 2009! Comic Book Resources just named “Missing the Boat” as one of the top 100 comics of last year! The book came in at #68, right between Marvel Comics’ “Strange Tales” (#69) and Wildstorm’s “Mysterius the Unfathomable” (#67). I’m afraid this small hardcover book at Shadowline got overlooked when it was released earlier this year. At first, it seems silly and over-the-top, but by the end develops into a touching, heartfelt, and often laugh-out-loud funny story of the two creatures who missed Noah’s Ark through their own laziness, thus dooming their species. NOTE: Before you read the post below, read this post. 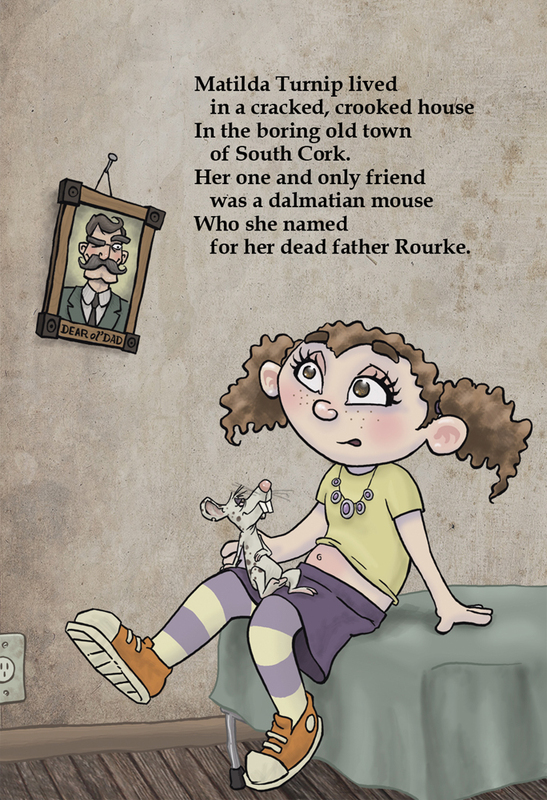 Next summer, Silverline Books will release the hardcover, kid-friendly anthology “Fractured Fables” nationwide. The anthology’s lineup is pretty fantastic, including all-new work from Bryan Talbot (“Alice in Sunderland”), Doug TenNapel (“Earthworm Jim”) and Ted McKeever (“Transit”), to name a few. For some reason, they invited yours truly to take part in the anthology, too. “Fractured Fables” is exactly that: Classic children’s stories and fairy tales taken apart, messed with, and put back together. I chose to do a twisted version of “Rub-A-Dub-Dub,” which artist Seth Damoose then illustrated. Longtime friend/collaborator Marla Campbell handled the coloring on the four-page story. There isn’t a hard release date yet for the anthology, but an abbreviated preview will be available on Free Comic Book Day next year (Saturday, May 1st, 2010). “Rub-A-Dub-Dub” will not appear in the preview, but it’s still definitely worth picking up. Especially because it’s FREE! It’s still a ways off, and I’ll be sure to promote the book more as we get closer to the release date, but they just sent out a press release so I thought I’d put the word out there now. 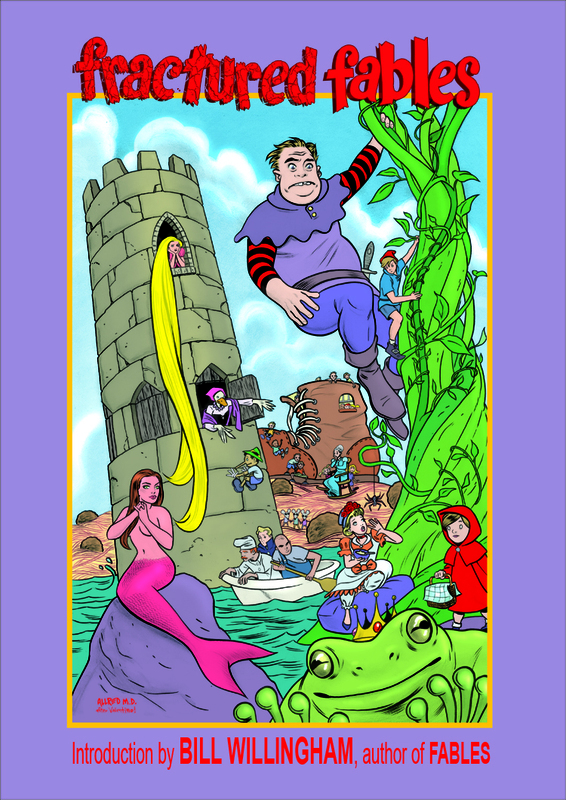 Oh, and did I mention that the cover was done by Mike and Laura Allred (“Madman Atomic Comics”)? Yeah, it was. Check it out below, and click on the image to see a larger version. “Matlida Turnip’s Endless Belly Button” five-page preview! So… here you go! Click on each image to view a larger version. Remember to join the book’s Facebook fan page here, and preorder your copy here on Amazon. 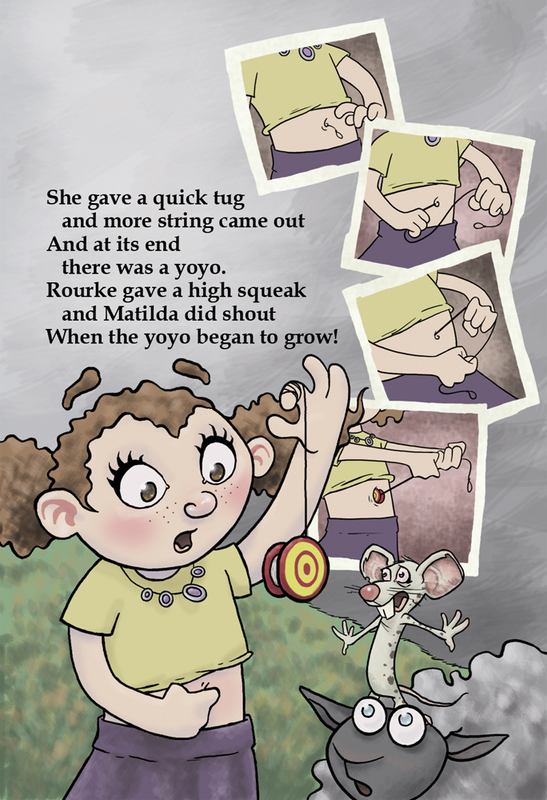 “Matilda Turnip’s Endless Belly Button” now on Amazon! My sister’s upcoming children’s book, “Matilda Turnip’s Endless Belly Button,” is now available for preorder on Amazon. The book won’t be released until next spring, but you can place your order now to have it sent to you as soon as it’s available. (Your card won’t be charged until the book actually ships.) So click here to order your copy today! I’ve seen most of this book already and I really couldn’t be more excited/proud. Also, remember to join the book’s Facebook fan page to get ongoing updates. Click here to join! 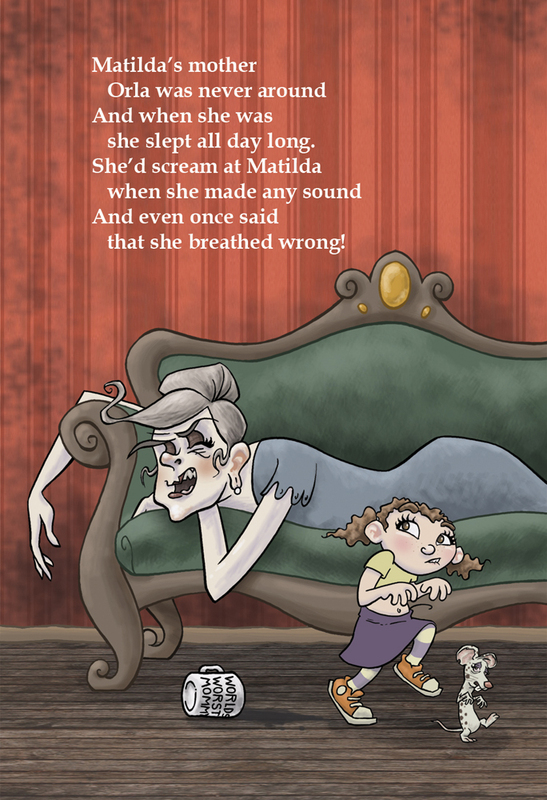 Coming early next year (February 2010, to be exact) is the tale of a girl named Matilda and her endless belly button. 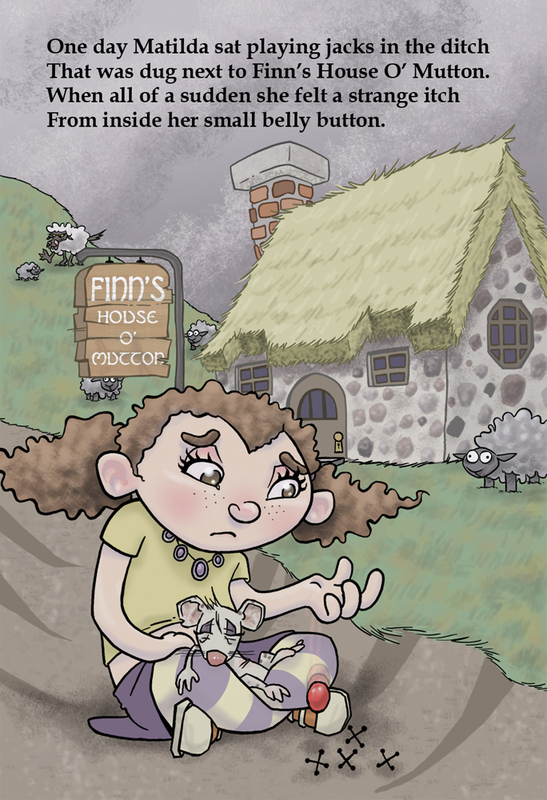 Matilda Turnip lives a boring, unloved life with her mother Orla in a tiny Irish town whose population is made up mostly of grazing sheep. But one day, she finds that her belly button is a magical portal that exciting items have begun emerging from! Each item takes her on a new adventure where she meets new friends, eventually arriving on an island where she is pleasantly surprised by someone from her past. His interview with the website ComicMonsters.com ran in two parts. First, a straightforward interview that you can read here. And second, a step-by-step “making of”–full of character sketches and story outlines–that you can read here. Be sure to pick up a copy of “P.T.A. Night” when it comes out later this year. You can even pre-order a copy from Amazon today by clicking here. Also, be sure to check out Jeremy’s personal website here.